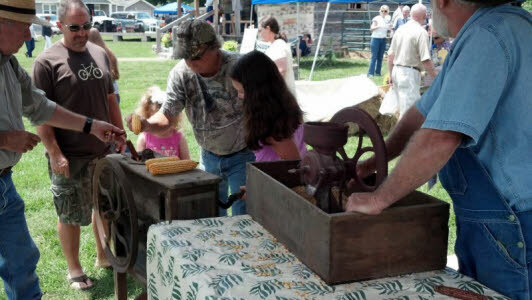 The Soddy, Daisy and Montlake Historical Association will partner with the city of Soddy Daisy to host Pioneer Day on Saturday. The event will be held at the Poe's Tavern Historical Park, next to the Soddy Daisy City Hall. The day is geared towards providing a glimpse into the federal period and area settlements during the early 1800's. 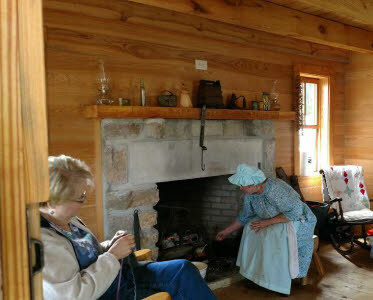 While these "pioneer days" when Tennessee was a known as a frontier were rough and wild, many families had located along the Cumberland Plateau and Tennessee River. Much like John Brown at Moccasin Bend, the Poe's established themselves in the valley now known as Soddy Daisy. The reproduction Poe's cabin is located in this municipal park and will be open for viewing with demonstrations and ladies in period dress. 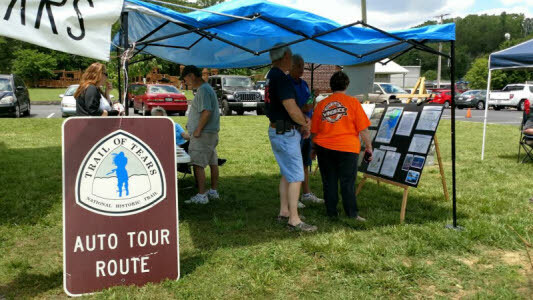 Other activities include live demonstrations of log hewing, using old timey tools such as a shaving horse, quilting, basket weaving, coal mining relics from local coal mines, blacksmithing and much more There will be a small train for the kids to ride along with other children's games to entertain the little ones. There will be live music to entertain the guests who come to spend the day. 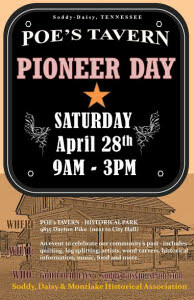 The 5th annual "Pioneer Day" event is Saturday from 9 a.m.-3 p.m. at 9835 Dayton Pike (Harrison Lane exit off US-27). For more information on the Soddy, Daisy and Montlake Historical Association and the Good Old Days Museum, visit www.soddydaisymuseum.com.